With my forehead pressed against the window on a moving blur of a green, I feel only sadness. I am on the train, leaving Tallinn, without meeting Silvia’s sister. In the end it was too painful. Too difficult to revisit. Of course I am disappointed that I couldn’t meet her, but I am sad to have brought up painful memories for a woman whose granddaughter reveres her as the “strongest and bravest lady” she has ever known. With my head on the window I ponder what I have learned of her story and know she is deserving of that reverence. 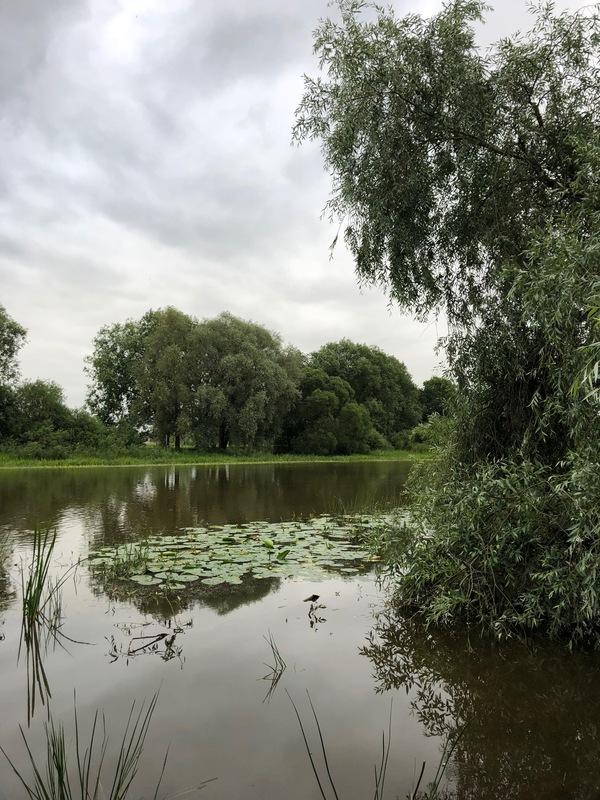 On reaching Tartu, I seek out the Emajõgi, the “mother river” walking along its reedy banks in the cool light rain, thinking of the story that has brought me to this place, of the many stories in one. The birds sing their evening song. The meadowsweet lightens the air. I am following the mother river.